Rescued from a rural shelter, Cindy had a leg that was deformed due to an old injury. After she was injured, her owner chose to refuse vet care and instead splint the leg. This led to fracture disease. Fracture disease, a complication of fracture treatment and immobilization, is defined as atrophy of bone, soft tissue, nails, skin, and cartilage. This condition is most often seen in dogs with quadriceps contracture, also known as quadriceps “tie down,” stiff stifle, post-trauma stifle stiffness, hyperextended stifle and hindlimb rigidity. Cindy’s “rigid” hind leg became a nuisance, getting in the way of her ability to sit, stand and walk. It also put pressure on her hips and caused her daily pain. HART used the Petfinder Foundation grant to help pay for Cindy’s amputation surgery and recovery. The Petfinder Foundation grant enabled HART to give Cindy life-changing surgery without compromising the care of other needy dogs. This grant directly helped Cindy, but enabled HART to continue to rescue other needy dogs and cats. Cindy suffered for most of her short life in silence. 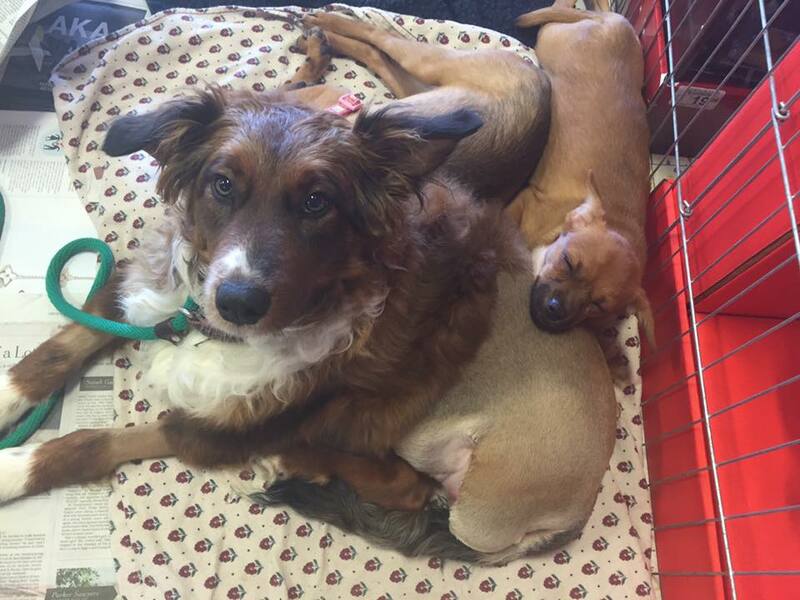 At just 7 months old, the young Sheltie mix was seized from a home where the residents thought they could care for a dozen dogs. Unfortunately, they couldn’t provide adequate care for any of them. When Animal Control found Cindy, she had a badly deformed leg that seemed to get in her way, making it difficult to walk, sit, and stand from a sit. Since Cindy had little control of her bum leg, it also tended to get caught and bump into things as she moved. Animal Control had been told that the leg was a genetic malformation, but as soon as HART saw a video of her, we thought otherwise. 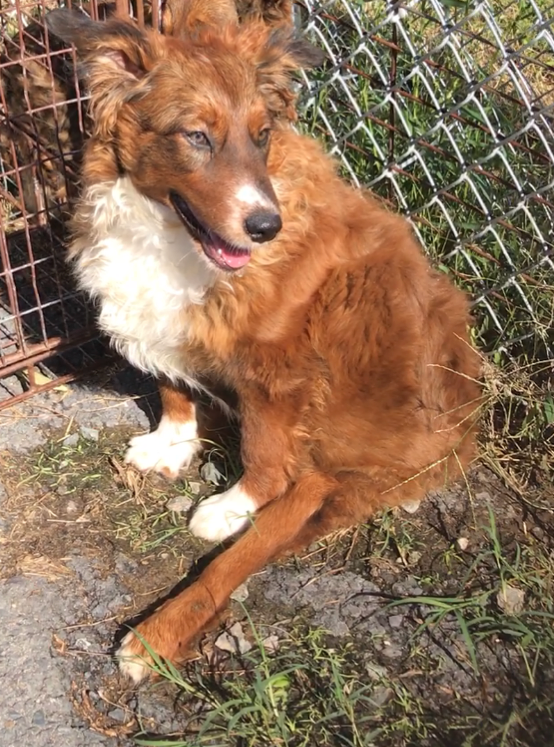 We rushed to rescue Cindy (filling our van with a few other dogs and cats while we were at the shelter) and got her to our vet immediately. What our vet found was disturbing. X-rays indicated that Cindy had suffered a traumatic injury such as being hit by a car. Her left hip had deteriorated and was permanently dislocated; her hock (ankle) was completely fused and immobile, and her muscles and tendons were rigid. Based on the position of the bones in her leg, it was clear that somebody had known of her injury and put her in a homemade splint rather than seeking the medical care she so urgently needed. That means they had known she was suffering, they had known she must have been in terrible pain, but they didn’t get her any help. The homemade splint allowed the bones to heal in abnormal positions and caused the muscles to freeze in place, making the leg a rigid peg (see first photo). It also didn’t address her dislocated hip, which must have caused her constant pain ever since the injury occurred. Cindy was examined by an orthopedic surgeon on Oct. 21, 2016, to determine the best course of action to ease her pain. He realized immediately that her injured leg was causing pressure on her sciatic nerve, which compounded her pain and her difficulty walking and standing. Cindy had surgery immediately that afternoon to amputate her damaged leg, and a miraculous thing happened: Only hours after her surgery, she was standing and moving and HAPPY! Within days she was running and playing with some doggie friends, and only 10 days later, she found her forever home with one of her very generous supporters. Now Cindy lives in sunny Florida with her new brother, HART alum Lucky (second photo), and she is enjoying every day of her life — pain free.